Degustabox is a subscription box that sends out a variety of shelf-stable food items, some which are new to the market. You won’t always be able to find these items in stores yet! BLACK FRIDAY DEAL: Now through 11/27/2017, use coupon code MSABLACKFRIDAY17 and get your first box for just $8.99! Coupon will automatically apply if you use this link. LIMITED TIME DEAL: Use coupon code MSABONUS2017 to get your first month of Degustabox for only $9.99. (Regularly $19.99). Your first month will also include a free gift! Ships to: Continental United States. To order to the mainland UK, check out their Great Britain website. Good to know: You can earn points by reviewing the products you receive or by referring a friend. Points are redeemable for a complimentary box. Check out all of our Degustabox reviews and the Food Subscription Box Directory! You’ll always find an info sheet in your Degustabox, detailing all of the items they’ve included and their retail price. The content on the back changes from month to month, and this time there’s a contest to design the background for a 2018 flyer. You could win a free box! I like caramel as a component to a sweet treat, but caramels on their own are usually a bit too sweet for me. These are individually wrapped and incredibly soft. So soft that they literally melt in your mouth. Out of the three possible varieties, I received the chocolate swirl which was pretty faint and balanced out the caramel flavor. Only one of these at a time for me! You had me at “Pure Butter”, Walkers. Shortbread cookies are delicious. Shortbread cookies shaped like Scottie dogs are delicious AND cute. These come in a tray to cut down on the crumble action, although some Scotties still didn’t make it intact. That’s ok, they still tasted buttery and wonderful. Perfect with a spot of tea. They’ve included a coupon as well for 75 cents off. No sooner did I think to myself “What is Panettone?” than the side of the box begged the same question, though ultimately unanswered. Their whole tagline is “Hard to describe, easy to love”. That sounds a lot like me! I KID. But real talk, this is an Italian-style sweet bread with chunks of dried fruit in it that seems to gain popularity around the holidays. Is it a fruitcake? I don’t think so, but it has a similar vibe. I am not a huge fan of dried fruit in bread (even though I love muffins, go figure), but this stayed super moist and my Dad was all about it with his morning coffee when he came to visit last week. Are there people who get mad about receiving jerky in the mail? There can’t be, right? Straight away, this turkey jerky has really slick packaging, so my interest is piqued. On the back, they like to poke fun at the artisanal hipster crowd and close by saying “real men don’t have buns”. Okay, Country Archer, I get it, but men come in all different hair lengths and if someone wants to wear their hair in a bun, I’m not going to shame them for it. Let’s all just chill out. The flavor is hickory smoked, which is undeniably good, has a bit of a spice to it, and also a touch of sweetness. It’s a bit on the drier end of the moisture scale (which is not necessarily a bad thing) and comes in smaller, fibrous chunks. The package is right about one thing: this was consumed in 10 minutes. Even if the box didn’t have the “150 years of tradition” seal on the front, I’d trust this seasoning based on the illustration alone. You can tell it’s been around for ages, and nothing terrible would last that long, right? This comes just in time for Thanksgiving with a recipe for stuffing on the back. The seasoning smells amazing, so I can only imagine how good it will taste. I’ll be packing this up to go to Ohio with me for the holidays. These are flour tortillas. Tacos go into these, sometimes of the breakfast variety. Need I say more? Clearly, I am into receiving these gorgeous food containers in any form because I have never met a taco I didn’t like. Tortillas are a staple in my kitchen and will always be welcomed into my home. These are on the larger size, so they can also be quesadilla’d for a quick snack. It is soup season in Pittsburgh which means this large carton of chicken broth came at a great time. Have I ever made soup from scratch before? No. Will I try now because I have access to this all natural Spanish chicken broth? Yes. The info sheet mentions you can also use this with risotto (yum) and stews (double yum). The best part is that there are no gross GMOs, preservatives, or other nasty ingredients in here. THANK YOU, SALSA GODS. I’m usually blathering on about Goya when I review Degustabox, so it should come as no surprise that I am in love with this Pico de Gallo. I could probably drink it straight from the bottle, but to be civilized, I ate it for lunch with tortilla chips instead. It’s not too oniony, not too spicy, and has a great flavor. I usually prefer a thin “restaurant style” salsa, but this chunky stuff does the trick. My diet is largely made up of Mexican food, so this fits nicely into my routine. I’ll be keeping my eye out for this at the grocery store next time. If there is one thing Degustabox seems to love, it’s BBQ sauce. Maybe I’m wrong, but it seems like every other month I am getting some in a different form. I’m not mad though! Here, they’ve included a free sample of a brand called Rufus Teague that I’m not familiar with. This particular flavor is “a touch ‘o heat”, so I’m expecting a bit of a kick. It pretty much tastes exactly how I imagined, but a bit more tomato-y. Goodness. Why has it taken so long for this candy bar to exist? Milka is a fancy European Chocolate brand, and at first bite with this candy bar, you can see why. The milk chocolate is sooooo smooth and creamy, only to be further elevated by the classic Oreo cream filling and cookie crumbs throughout. My sweet tooth isn’t what it used to be, so I have to take it slow with this one, but believe me when I tell you that I savor each encounter that the two of us have. I can be a bit of a snob with coffee these days. I prefer fruity African beans that I ground fresh, prepare in a pour-over, and would never ruin with cream or sugar. On the opposite end of that, I sometimes treat myself to a Vietnamese coffee that’s made with sweetened condensed milk. This instant café con leche falls into the latter category, and boy oh boy is it tasty. I would normally never go for instant coffee, but when you mix it with powdered milk, it’s a different ballgame. This is a cozy treat for the winter days to come! Side note: this would be incredible with a splash of Frangelico. Arteasan Yerba Mate Tea in Peach Rosemary, 14 oz. – Retail Value $1.99? I couldn’t find this online for sale and it also wasn’t included on the info sheet, so I’m taking a guess at the price and assume it’s super new. I was excited to see this in the box because I enjoy iced tea, as well as peach and rosemary flavors. I took a big sip of it and liked it at first, but then the aftertaste set in. Gasp. The dreaded “fake sugar” taste that I can’t handle in bottled drinks. I checked the label to find that this has stevia extract. Ugh. I am not a fan. You almost had me, Arteasan! Verdict: Degustabox continues to reign supreme in my book of food boxes. They have a mix of sweets n savories, along with new and classic brands. My Mom has been pestering me for one of these, so for the holidays, I think I’m going to get her a subscription. She loves food more than I do (if you can believe it) and I know she’ll love unboxing this every month. I received 11 items worth over $35 retail for $19.99. If you sign up before the 19th you should receive your box by the 5th of the following month. If you sign up between the 19th and 25th, you should receive your box by the 10th of the following month. If you sign up between the 26th and the last day of the month, you should receive your box by the 15th of the following month. This applies to the first box only. From the second month you will receive your box at the beginning of the month. 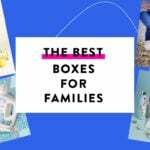 Coupon: Use code MSABONUS2017 to get your first month of Degustabox for only $9.99. (Regularly $19.99). Your first month will also include a free gift! Value Breakdown: At $19.99 for this box, I got about 11 items which prices them at under $2 per item. What is your favorite item from Degustabox this month? How do subscribers rate Degustabox USA? Do you subscribe to Degustabox USA? Add your rating now! It’s my first box this past Monday n loved the odd items. Esp the beet chips. But what is the review process yall mentioned?? I know nothing about reviewing items nor earning a free box. Also I thought boxes were $10/ month but someone said $20 few min ago. Thanks for any help or recommendations. 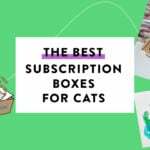 This box is a hit or miss for me and I’ve been subscribing for almost a year now. Each month I’ll say to myself that it’ll be the last and then that will be the box I like, followed by one I don’t. I was fairly impartial to this one (I love the cookies, hate the Panettone but everything else was usable). I got the broth but not the tea. I was shocked when I did the review for it (the sub asks for feedback and you get points toward a free box for doing that) that they expected that broth to sell for $6.99 or MORE for one box. I love organic as much as the next person but holy crap. Even at Whole Foods they have broth for cheaper. I feel bad for the people who got the tea instead of the broth, since they seem to have wildly disparate values. And while I don’t mind jerky and thought the flavor was good, holy crap was the bag I got tougher than a middle school vice principal! I am also vegetarian. Are you a new subscriber? I’ve received Degustabox for about a year now and most months include at least one item I cannot eat. If that upsets you, you may want to look at previous reviews to determine if this sub is worth your while. Your neighbors would think it’s weird if you gave them food?!?! I’m so sorry…I give my extra tomatoes and peppers to my neighbors every summer. I always grow way too many. And one of my neighbors leaves fresh baked bread on our doorsteps regularly. I would think it was weird if my neighbors and I didn’t share food! I didn’t get the broth either and got the tea instead and I LOVE iced tea and I didn’t like it at all – very artificial tasting. My issue with the substitution is the value difference. The broth is $8.99 RV and the tea is $1.99 RV? They never send me any extras like I hear others talking about. I’m just trying to finish my 100 points for my free box (almost there) and I think I’m going to bid DegustaBox farewell. Unfortunately, the value just isn’t there for me anymore. I’m bummed I got the tea instead of the broth. We use chicken broth frequently and I hate tea. Oh well. I was also frustrated that I got tea and not broth. I really take the time to write thorough reviews and give them what they want for what I want (a decent box.) I also missed the Pico de Gallo. I know some people rave about this box, but I just don’t see the value. I can spend $20.00 at a local store and get exactly what I need or want. No broth here either…. and I don’t believe I received a substitution although the list is long gone. Still a good sub box! I didnt get the broth, I did get the tea, and also a package of Hippeas (vegan cheese puffs)as an extra-they werent listed on the sheet. I’m happy since I don’t eat chicken! I didn’t recieve the broth either and I didn’t get anything else. Did you get the tea? CS service told me the tea was the alternate item to the broth. I can only assume MSA received both for review purposes. I misread her name in the small print of my email oops! I didn’t receive the broth either, however, when I did my review it didn’t come up as one of the items in my box. I must have received another item instead but I can’t recall what that might have been. I received the white cheddar hippies . Did you get that maybe ? After reading this review, I wrote to Degustabox about my box missing the broth too. They told me they sent two versions of the box, one containing tea, the other containing the broth. I’m guessing they included both items in the box they sent for review, as Mame mentions above the info card in her box didn’t list the tea. Kind of misleading. I contacted customer service and they said there were two variations, some boxes included tea, the others included the broth. Apparently only Mame received both, probably for review purposes. I am waiting to see if they make mine right. I did not get the bell seasoning in my box. I got the tea and the after taste was just NASTY. I have had issues with my 1st and 2nd box. So we will see they were supposed to send the seasoning and another surprise item for the mishap in the november box this month.